What was the cause of the Bee stings pain? More than 2 million people in the U.S. are allergic to the venom caused by the insect stings, it is based on a WebMD survey. Bee stings arguably more severe pain than other insects. Wounds from a bee sting will generally be red, swollen, and painful. But that of course does not include the sharp explosion of pain in the preliminary-time incident. It turns out that due to bee sting pain, occurs because of two factors. First, when the bee stings release a chemical compound that called melittin to the victim. These toxic compounds are able to spread and lead to a reaction of pain receptors. Then the victim will feel a burning sensation. The latter because of stinging bees were spiked. Imagine it was a jagged sword. When it penetrating into the victim's skin, not just poison, also stinging 'divorced' from the bees. It's that cause painful sores. The longer the stinger stayed in the skin, the more toxins out, to an attack can last up to about a minute. 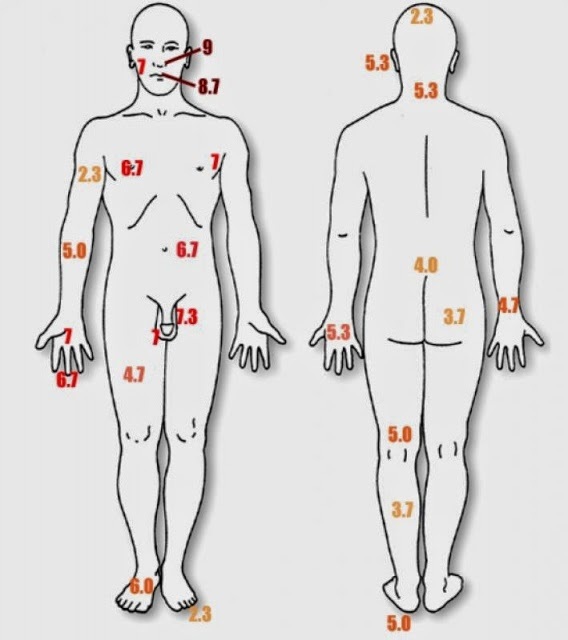 And where is the location of the worst body part to be exposed to a bee sting? Michael Smith, a graduate student programs of Cornell University, who studies the behavior and evolution of honey bees, experiment with making himself the subject! Then he began collecting bees and put them in various parts of the body. He let the stinger stayed up for a few minutes, then measure the variations pain scale of 1-10.